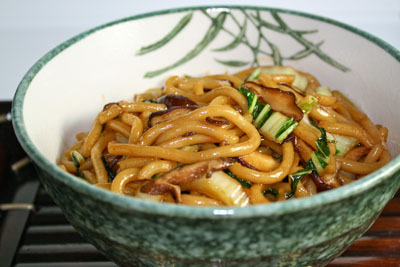 There are times when you need an easy to put together but really enjoyable meal, and noodles always fit that category. Whether Italian pasta, Chinese Lo Mein or Thai Pad Kee Mao, noodles are a comfort food appreciated the world around. 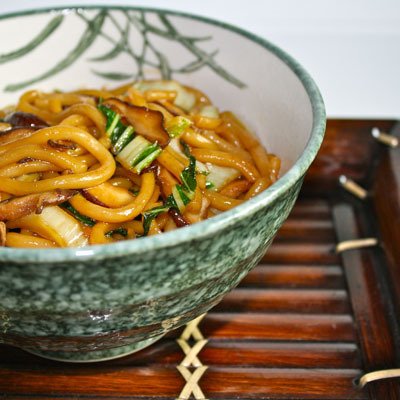 A particular favorite of mine are Japanese udon noodles. Thick and chewy, these noodles are often served in broth, with bits of meat, tofu and vegetables added. When I was pregnant one of my cravings was a big bowl of udon in broth with shrimp tempura, which I would dip in the broth before eating. My other craving was for an In ‘n’ Out Double Double with fries. Noodles and burgers, you cannot get more comfort foodie than that, can you? Fresh udon noodles are available in the refrigerated section of most supermarkets now, or at your local Asian market. A fellow food blogger, La Fuji Mama, recently posted about how to make your own udon noodles, and I think I am going to have to give that a try. Especially because you walk on the dough to knead it! Love that! This recipe for stir fried udon noodles is vegetarian, but you can add shredded or chopped cooked meat or tofu for more protein. In a wok or large nonstick skillet, heat the sesame and vegetable oil over medium high heat. Add the shiitake mushrooms and cook 1 minute before stirring. 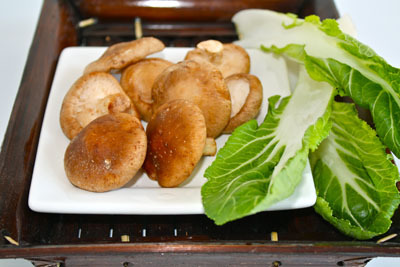 Shiitake tend to stick if moved to quickly, so just let them cook. Stir the shiitake and continue to cook for another minute or two, until lightly golden brown and softened. 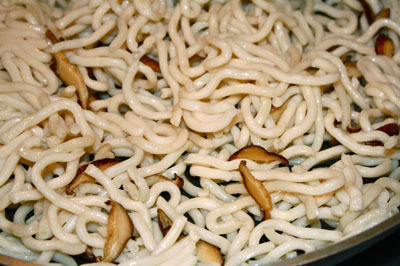 Add the udon noodles, breaking and separating them as you add them to the pan. Cook the noodles 5 minutes, stirring occasionally. Add the bok choy and cook until wilted, about 3 minutes. 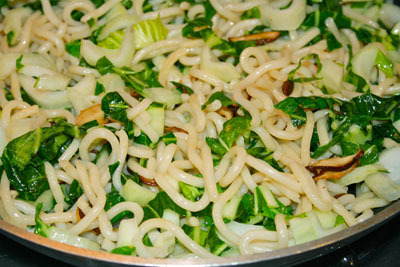 Add your cooking sauce, and stirring occasionally, let the udon and vegetables cook for 4 – 5 minutes. You inspired me with the homemade udon! I have it on my list of things to attempt one day! 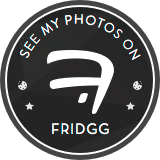 I don’t know how I missed this post! This dish looks sublime! And thank you so much for the shout out! 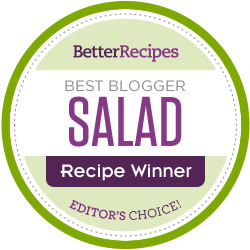 I’m hosting Presto Pasta Nights on my blog this week, and this would be a great addition, if you’d consider participating in this blog event:)!